Welcome to the ‘Share With Me’ blog hop Week 25! Without further ado last week’s favorite was from the absolutely amazing Dear Beautiful- A Walk Down Memory Lane. A truly love filled post that will warm your heart. If you missed it last week you have to check it out, its hilarious! Thabks Jenny, all linked up. Hope you’re having a good time! Having a fantastic time but I have so many posts to write about home already I feel I will never catch up and get to share it all with you! lol It’s been amazing so far and lots to still come! ….EEEEK! A small child got hold of my phone and managed to send that comment before I finished. Of course it was so beautiful and full of family love and great memories I had to share it again. Perfect to sum up how I am feeling about being home right now. Thanks again for linking up and the blog support. Thanks Caroline for the linky support. Look forward to reading your post! 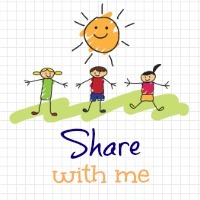 Share with me is always a great place to read a bunch of varied blogs all in one place. I am really enjoying it each week. Aghh fabulous. Welcome to Share With Me. Hope you enjoy it and thank you so much for linking up. It’s a great place to read a bunch of varied blogs all in one place. Please don’t feel that you have to comment on all posts it gets busy and that is a lot to ask. I only ever ask to comment at least on the host and the one above you so no one is forgotten but you can do as many others as you like. Hope you enjoy it and to see you again. Thank you so much for your kind words and the nomination wow! So sweet of you. We have been without power the last two days so lots of catching up to do. Thanks for being a regular on Share With Me glad you enjoy it and thanks for the blog support!